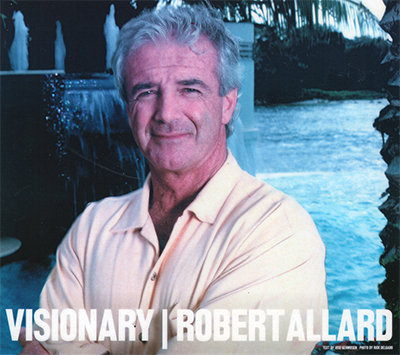 Robert Allard, founder and president of Robert Allard Pool Contracting, Inc. His family has been in Fort Lauderdale since 1955. He graduated from Stranahan High School in 1967, and then went on to Broward Community College where he studied drafting and design. In the summers he worked for Thompson Pools. That company was founded by Jerry Thompson and was Broward County Commissioner for many years. After 4 years with Jerry, Robert Allard decided to get his license and go out on his own. He founded Robert Allard Pool Contracting, Inc in 1976. He started in 1977 in a community called "Deer Creek Country Club" and built about 100 pools there for a couple of other small builders. The company's first big project was Arvida at "Broken Sound Country Club" in Delray. There we built over 2000 pools for Arvida as well as other builders. We finished the 15 year project with Arvida and were invited to their Weston project where we built another 1000 pool for Arvida, Engle Homes and Lennar. About that time we began to see more action in Parkland, which was nice since the office and showroom is nearby at Powerline and Sample Roads. We have been building for WCI in Parkland for the past 12 years. Even thru the bankruptcy of WCI, we stayed on board and still have a good working relationship with them to this day. Our philosophy has always been, "Above all else, Be sure the new Owner is Happy". That is what keeps the clients coming back to the developer and that is what keeps us working........That philosophy has served us well these past 30 years with over 9000 pools built. 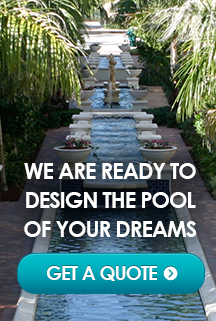 Robert Allard Pools also have the best designer on the East Coast. We have won over 75 National awards with Bobby Gordon's creativity. We have been in the forefront of innovation in our industry with the pioneering of the vanishing edge pool, "0" edge raised spas, the fire pit, the tanning shelf, just to mention a few.